This is Part 2 in a week-long series looking at the paradox of money in American culture. Part 1 introduced the topic through the lens of whether Mitt Romney is too rich to be president. This post will examine the fine line between behaviors we vilify and behaviors we praise. Specifically, we'll look at the discussion of the "Criminal" and the "Innovator" through the lens of two films: American Gangster and Fear and Loathing in Las Vegas. In general, you don't get rich by following the rules. Almost all of the great American Dream heroes blazed trails in ways that set them apart from the crowd, and trails aren't blazed by walking lock-step behind the person in front of you. Trails are blazed by taking risks. People like Andrew Carnegie, John D. Rockefeller, J.P. Morgan, and Henry Ford did not rise to their level of fame and fortune by following the status quo--or by always playing nice. Often, the choices that they made skirted issues of legality, and sometimes their choices were only legal because the law had not yet caught up to their innovation. Take the fact that Rockefeller's father (and the start of his family's fortune) was based upon a snake oil scam for a cancer cure or Carnegie's involvement with the Homestead Strike, for example. 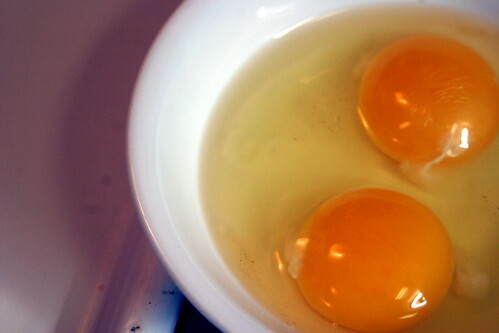 You don't make an omelette without breaking a few eggs. Except when "eggs" are "people's lives," it doesn't sound quite so clever. All that to say that there's a fine line between "innovator" and "criminal." In many ways, the things we define as crimes are pretty arbitrary. We don't like to think that. We like to think that our criminal codes are solidly based on ethical fact, but virtually everything we legislate exists on a continuum, a continuum with a lot of grey area. Even cut-and-dry things like "don't kill people" get shaky in the cases of self-defense. And that grey area is largely informed by socioeconomic factors (for instance, in 2010 Congress "corrected" the crack/powder cocaine sentencing disparity by making it 18-to-1 instead of 100-to-1), privilege, and sometimes just sheer brashness. If you're willing to push the envelope in ways no one has ever pushed it before, it's likely that there haven't yet been laws made to contain you. But what happens when you're on the wrong side of that privilege for whatever reason? What happens when those messages to innovate get tangled up with our rules for conduct? Well, that's the distortion of the American Dream. It takes the same principles that we tend to hold up as keys to success--innovation, risk-taking, and ingenuity--and rams them headlong into the wall of regulation. The result? Criminality in the name of success. Okay, so those are some pretty positive traits. Self-confidence, strength, and assertiveness are all qualities that we praise and try to instill in ourselves. And the "at their best" sounds fantastic. It's why people like Martin Luther King, Jr. and Franklin Roosevelt are listed as examples of this personality type. But look closely. Someone who is "ego-centric" and "domineering" isn't always going to end up "at their best." These qualities, if given the right (or, more accurately, wrong) environment, could quickly give way to criminal behavior. It's why people like Saddam Hussein and Fidel Castro are also on that list. Donald Trump's on there, too. Draw your own conclusions. Because I love pop culture and because I think that it's one of the primary vehicles for delivering messages about our cultural values (and because it's my blog--I do what I want! ), I'm going to examine the way that this tension plays out in two films. 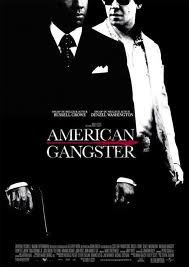 American Gangster is based on the true story of Frank Lucas' rise (and eventual fall) as a New York heroin kingpin. Lucas used the classic tools of American success to make himself very, very rich. Then he shared that wealth with his family. In many ways, Lucas' story closely mirrors one like Rockefeller's or Carnegie's. The difference is that he didn't innovate a way to sell steel or oil. He innovated a way to sell heroin. Really, though, the product is about the only difference. Lucas follows the rules of American success is practically every other way. He lists the most important things to business: honesty, integrity, hard work, family, never forgetting where you came from. Sound familiar? The clip demonstrates that it his belief in these values that lead him to make the criminal decisions that he makes (such as shooting a man in the street over money he's owed). While that action was most definitely against the legal code, it was completely in line with his values. When those are the same values that we say underly America, we can see how the "rugged individual" message can be a little dangerous. Fear and Loathing in Las Vegas is the Gonzo account of Hunter S. Thompson's tip to Vegas to cover the story of a motorcycle race. I mean, I guess that's how you would sum up the plot. It's really a drug-fueled binge of excess through Vegas as testament to America's flawed greatness. Our protagonist breaks the rules for the very sake of breaking the rules. He carves out his space in the American landscape with force and more than a touch of insanity. This, too, is right in line with American ideals. This clip shows how the entire plot can be seen as a reaction to what happens when the "sense of inevitable victory over the forces of old and evil" is destroyed. The narrator discusses the "high water mark" of the social movement of the 60's--a movement that had at its core a message of community and unity. But when that movement didn't fulfill its promise, when the participants were left with the realization that they were not going to be able to enact the change they'd envisioned, they were left with the American ideal--once again--of rugged individualism. Every man for himself. The center cannot hold. And if the message is that your actions are yours and yours alone, then why not drive across the desert in a convertible chock-full of drugs? Why not trash a hotel room, park on the sidewalk, and then waltz across the street to do it all over again? If the only person you have to worry about is yourself, then what difference does any of it make? What's True in Both Narratives? Both films demonstrate that risk is at the center of success. In American Gangster, Lucas risks everything. His path to success is highly illegal, and he's being pursued throughout the film. In the end, his risk turns out to be too much, as he's caught and imprisoned, but also loses the respect of many of his family members. Even in prison, he upholds many of the key values of the American Dream, insisting that the corrupt police be held to standards of honesty and accountability. You better take care of me Lord because, if you don't, you're going to have me on your hands. Perhaps excess is in some weird tango with risk. If you've placed yourself in danger to accumulate the success you have, then it may only be logical that you want to flaunt it. In American Gangster, Frank Lucas laps up the life of luxury with chinchilla coats, huge penthouse suites, and lavish parties. He's embodying the Great Gatsby way of life and making sure that everyone around him knows what his success has afforded him. In Fear and Loathing, the entire backdrop is excess. That's what Las Vegas represents. From the bright lights to the room service, there is more than anyone should ever need. The point is to push yourself to the limits of consumption, and Raoul Duke does just that, with everything from grapefruit to ether. But above all, both movies demonstrate men who are attempting to find a place of their own in the sea of society. Neither are content to remain in the status quo. That's why they take the risk in the first place, and that's why they demonstrate the excess in the end. There's no use living safely if it means you have to die a nobody (as Frank Lucas said in the above clip, "You're either a somebody, or you're a nobody. "), and there's no use being unique if no one else knows it. What Does it Tell Us About Money? The point of this series is examining the paradox of wealth in the American Dream mythos. The "rags-to-riches" story depends on riches, so wealth is clearly important. But, as films like these demonstrate, that path isn't as simple as it might seem. It's not merely hard work and innovation that lead to success. It's the right kind of hard work and innovation that bends but does not break the rules. Not all paths to success are acceptable, even when they follow the very values that we've laid out. It also tells how woman can not be all that in the american soceiuty.